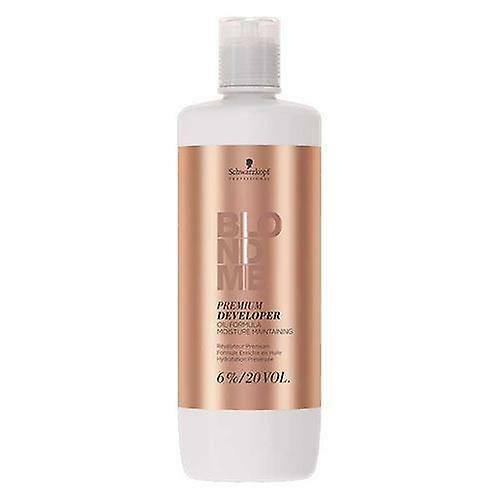 Schwarzkopf BLONDME Premium Care Developer is specially formulated to partner Blonde Me Bleach and color shades. Its caring formula supports hair's natural moisture balance which ensures your new blondes have a brilliant shine and a wonderfully soft feel to their hair. 2% (7 vol)—perfect for toning hair that's already been lightened and for gentle bleaching. 6% (20 vol)—the strength for conventional bleaching or for toning on naturally light (level 8 or above) blonde hair. 9% (30 vol)—ideal for maximum bleaching, white hair blending or lifting naturally light blonde hair. 12% (40 vol)—choose this one for lifting or white blending on a natural base at level 6 or 7. 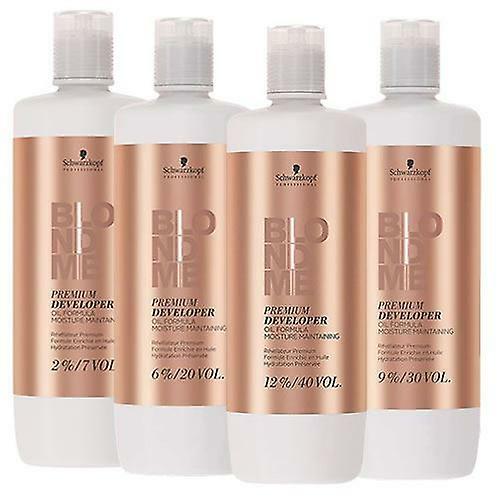 Schwarzkopf BLONDME Premium Care Developer comes in a 1000-ml (1-litre) bottle.